Florida’s Space Coast - Orlando’s Closest Beaches! Just 45 minutes east of Orlando, the Space Coast is home to Port Canaveral, Kennedy Space Center and America&apos;s Space Program, legendary Cocoa Beach, and is Florida&apos;s largest manatee and sea turtle habitat. 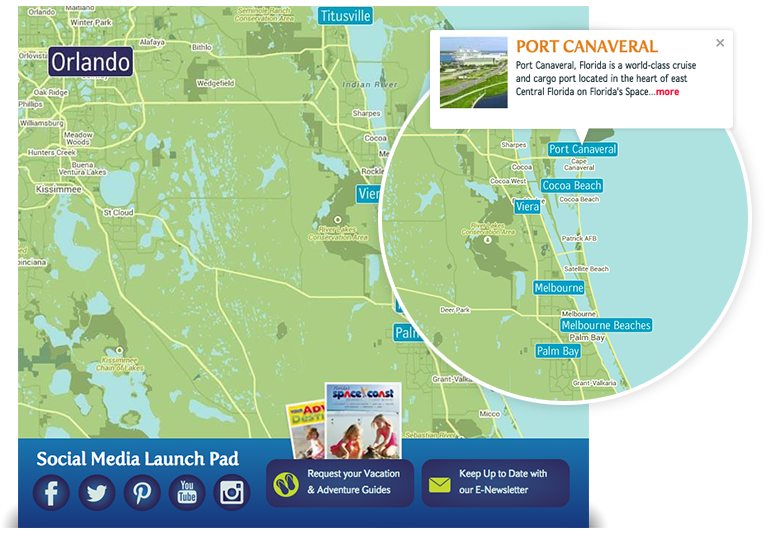 This destination gives you the best of Florida all in one area! The new website launched in June and is built using the new Simpleview CMS. 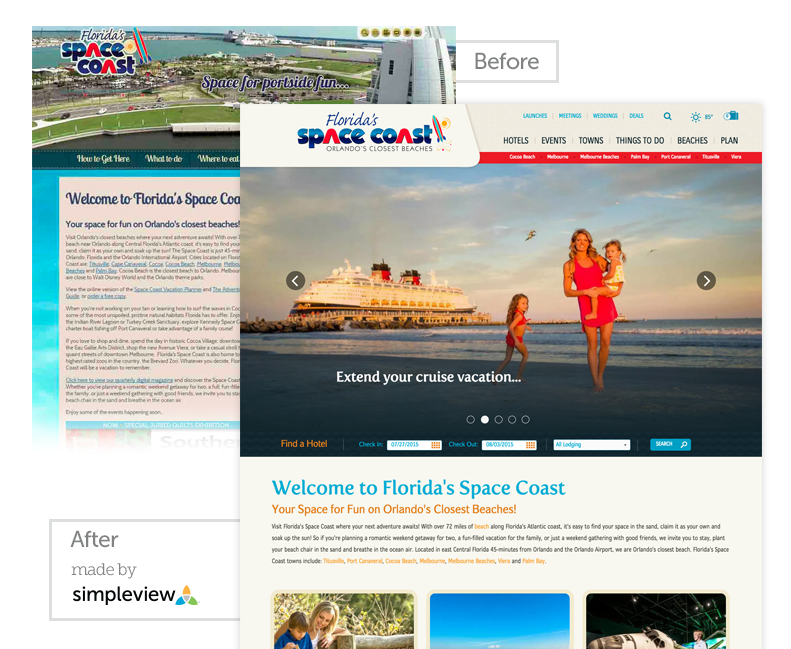 The VisitSpaceCoast.com redesign includes great features, most notably the use of responsive design. An optimized version of the site is now available on multiple platforms, perfect for the modern traveler. Another distinct feature on the new site is the Interactive Google Footer Map. This map is a good example of information collections. Each map point is a collection that is managed by the CMS user. 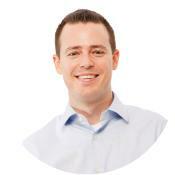 The user can update the image, title, description, link & geo coordinates for destinations in real time. The collection then displays on the Google map based on the coordinates specified within the collection. 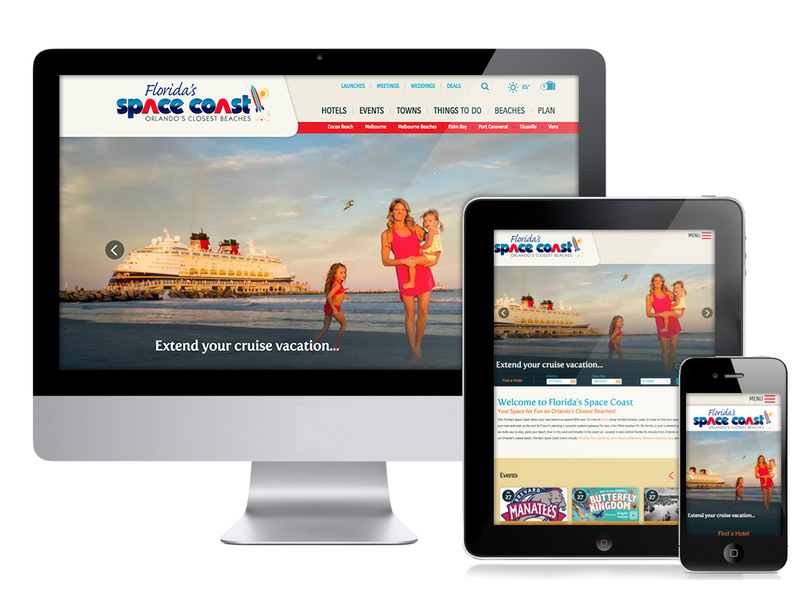 Lastly, VisitSpaceCoast.com will soon be adding value to their brand with our Destination Travel Network (DTN) integration. The cohesive spotlight ads will drive more traffic, and generate revenue for future campaigns or reinvestment back into the site. The Florida Space Coast is a destination with diversity to satisfy a wide range of travelers. Be sure to visit the new website and view all of the new features that make this destination top in its class.